Don’t miss three of the Bay Area’s favorite rock bands onstage at the Uptown to celebrate the EP release of Sister Grizzly! 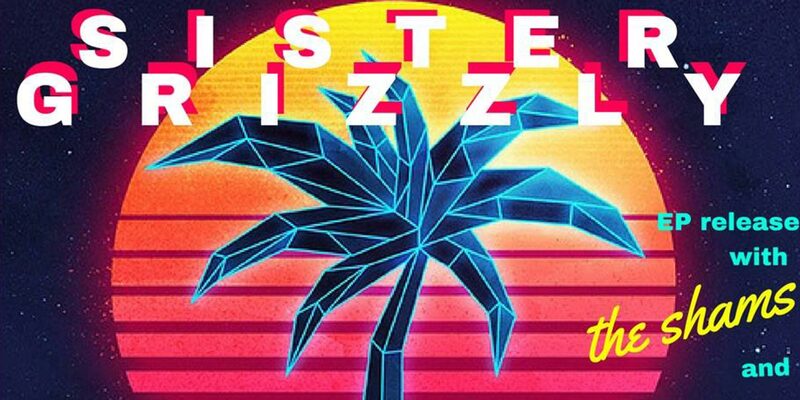 Sister Grizzly (EP Release): Formed in Oakland, CA in 2005 by singer/guitarist Tom Grigor and drummer Justice Israel, Sister Grizzly self-released two EPs: All of This is True in 2009 and On Nights Like This in 2011. After years of performing as a gritty two-piece, Grigor and Israel decided to bring in additional musicians to pursue a more fully realized sound. Bassist Eric Mai and lead guitarist/keyboardist Jordan Griggs (The Cushion Theory) joined the band in 2013 and shortly thereafter, the group began writing songs and recorded their debut full-length, Truth & Consequence which was released in July 2014. The Shams: The Shams began in 2011 in San Francisco, lead by energetic and charismatic front man Sean Daly, from Donegal, Ireland. In the last year, The Shams released their award-winning EP “One and All”, embarked on a Northwest tour and sold out the legendary Great American Music Hall in San Francisco. The Shams are quickly becoming a fan-favorite by combining their hard rocking, punked-up beat and raw, powerful vocals. Their repertoire of original songs reach deep down into their rebel roots and pulls out incredibly original tracks that illuminate what it means to be Irish. They provide listeners with a new, hard-hitting perspective on the evolution of Irish music, unlike any you’ve heard before. With each fiery live performance, The Shams are leaving listeners begging for more.